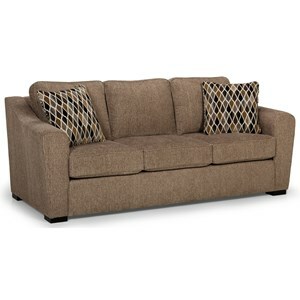 This comfortable and modern sleeper sofa will go a long way in changing the atmosphere of your living room. Track arms, wood block feet, and box cushions provide a clean and simple look. With many fabric options available, you are sure to find one that fits your taste and works well with the current decor of your space. 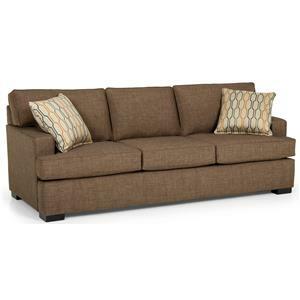 Accommodate guests overnight with the coil sleeper mattress of this sleeper sofa. 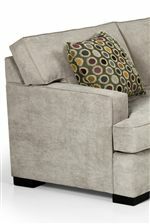 The heavy duty mechanism makes it quick and easy to turn your living space into a sleeping space. 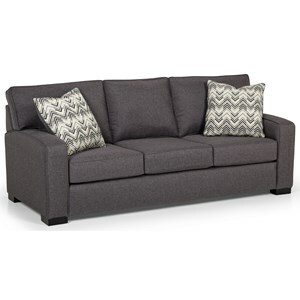 The 146 Contemporary Basic Sleeper Sofa with Track Arms by Sunset Home at Sadler's Home Furnishings in the Anchorage, Fairbanks, Sterling, Alaska area. Product availability may vary. Contact us for the most current availability on this product. 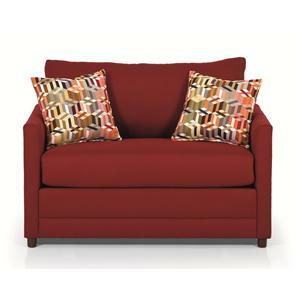 Clean designs and modern shapes in the 146 upholstery series will bring a simple, contemporary feel to your living room. Cubic seat bases are flanked by square track arms and sturdy block legs to keep this look clean and simple. Welt cord trim adds a subtle detail to each piece. 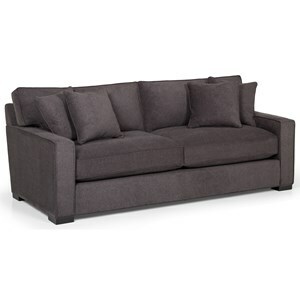 Rest comfortably on the multi-layer reflex cushions that create a luxurious seating experience. 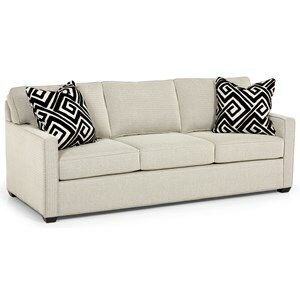 Update your living room's style with chic and modern 146 collection. The 146 collection is a great option if you are looking for Contemporary furniture in the Anchorage, Fairbanks, Sterling, Alaska area. 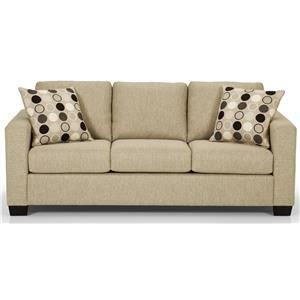 Browse other items in the 146 collection from Sadler's Home Furnishings in the Anchorage, Fairbanks, Sterling, Alaska area.